At Vitaphysical, we help our clients find a happy, healthy life. If you are seeking massage therapy and osteopathy in the East Bolden, Tyne and Wear area, our treatments soothe aches, restore function and ease pain. Our friendly team of musculoskeletal practitioners offers a comprehensive range of massage and osteopathy treatments, providing relief from everyday conditions that inflict pain and discomfort such as headaches, posture problems and back pain. We run a back pain clinic to tackle one of the most common issues experienced by our clients and we’re on hand to assist with recovery following accident or injury too. Each member of the Vitaphysical team genuinely loves what they do and they are highly qualified to carry out the treatments they perform. The team is made up of specialists – Jason is our osteopath who works alongside qualified massage therapists Bronyia, Emma and Kirsty, treating patients from East Boldon and beyond. Our massage therapy offering includes traditional massage such as deep tissue treatments and relaxation massage. We also carry out Thai massage, sports massage and pregnancy massage for mums to be. Call for a free chat with our osteopath Jason and he’ll talk you through your options and help you select the right course of treatment for your condition. 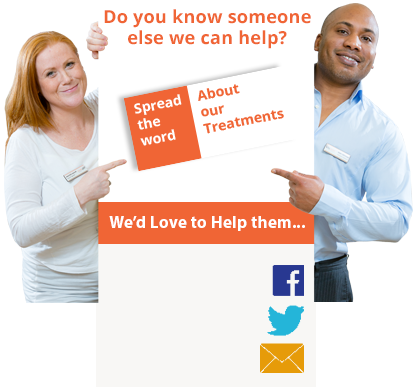 You can find out more about the conditions we work with on our what we treat page. The Vitaphysical centre is just a few streets away from Sunderland train station, so we treat many patients from East Boldon area that are able to reach us via a short metro journey or who drive and take advantage of our free patient parking. You can view our location on our contacts page. Some of our clients come to us after visiting a chiropractor or undergoing physiotherapy treatment with the NHS. We’re very proud of the consistently high levels of service we provide and offer a 100% money back guarantee on all of our treatments. You can book an appointment with us using our online booking system or call 0191 5658886 for a chat. Don’t forget to download your free discount vouchers, redeemable against your first treatment. We look forward to welcoming you from East Boldon for massage or osteopathy treatment with us soon.